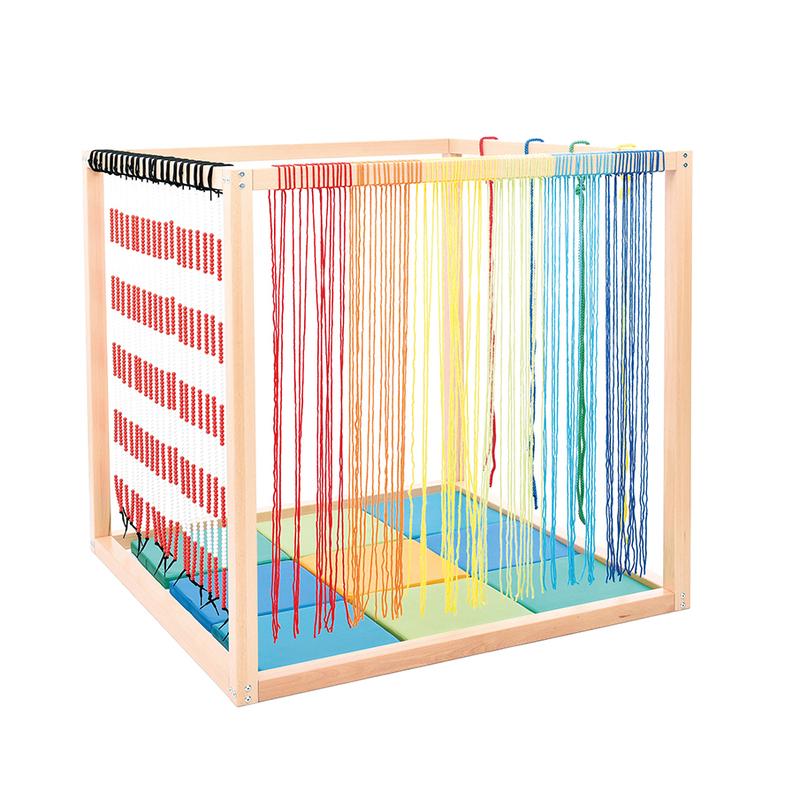 An adaptable and flexible addition to your classroom. 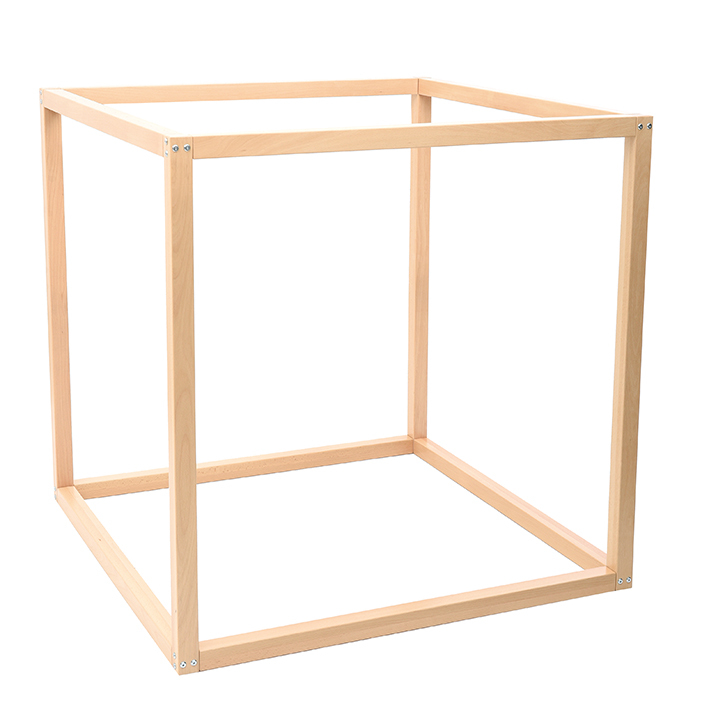 This sturdy cube frame is made from thick wooden beams (5cm) and has 11 holes at intervals of 93mm on each upper beam (44 holes in total) – for attaching ribbons, mobiles, fibre optics and other accessories. 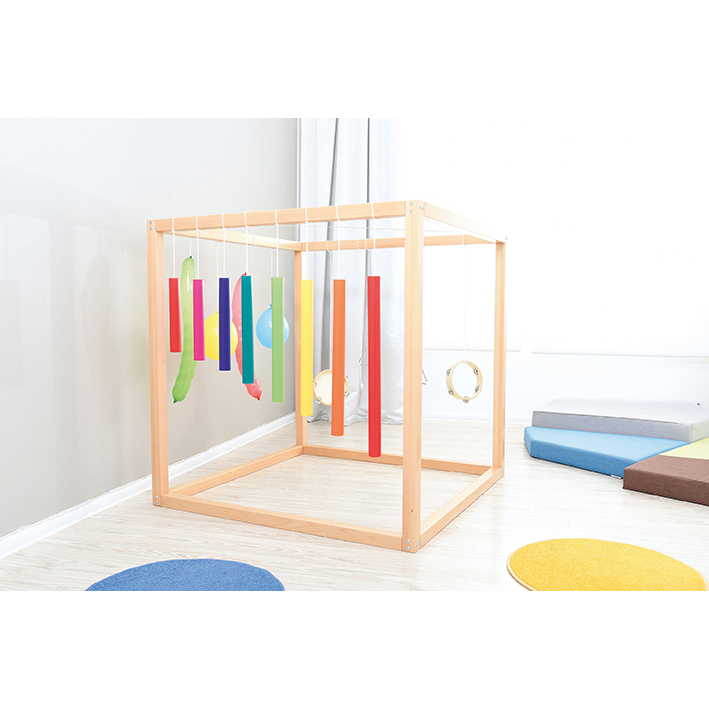 The flexibility of this frame means that it can also be used to create your own reading den or cave. 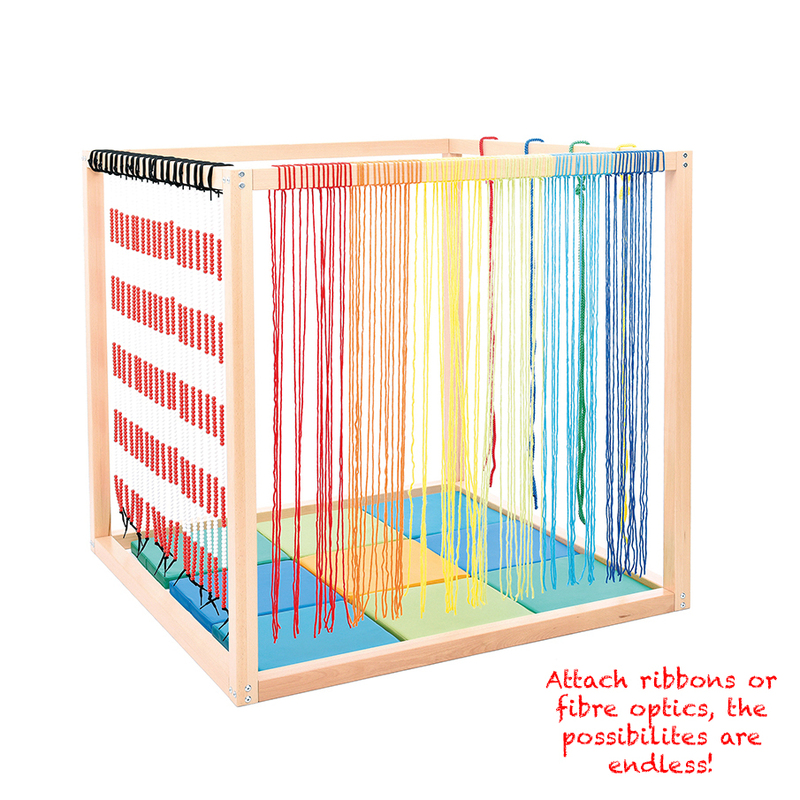 Attach ribbons, fibre optics, the possibilities are endless. Create dens or reading dens.